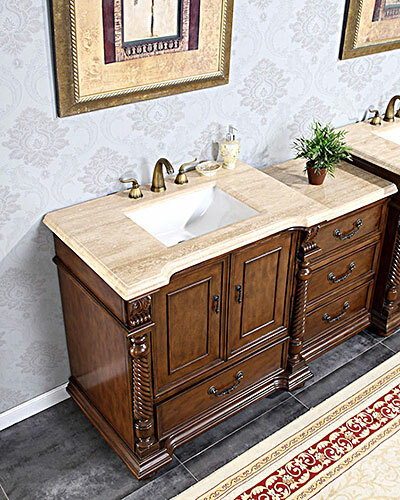 The 36" to 57" Sidonius Single Bath Vanity makes a statement in any bathroom with its regal appeal. 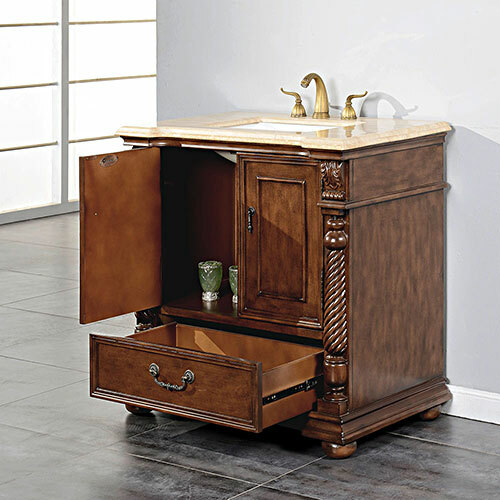 The gorgeously warm Walnut finish of its cabinet captivates the detailed carvings, giving it an even more appealing look. 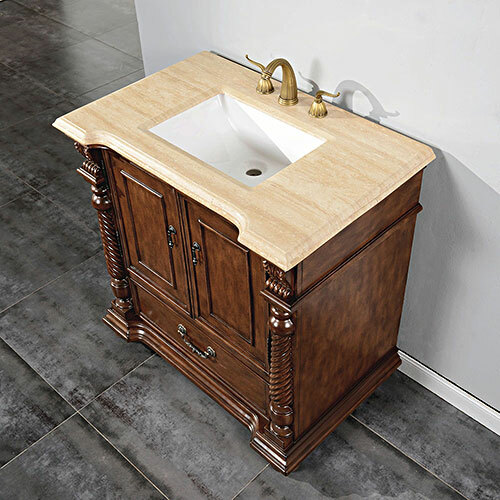 Antique Brass hardware on the two cabinet doors and single drawer front accentuates the Walnut finish and completes the classic look, which is further enhanced by the Roman Vein-Cut Travertine counter top. The white ceramic undermount sink is cut with a rectangular shape for a more handsome appeal, and the top is pre-drilled with three faucet holes in the standard 8" spread. You'll love what the Sidonius will do to the look of your bathroom. To give yourself more storage space, add the optional drawer bank with matching finish and top for an additional three drawers of storage.